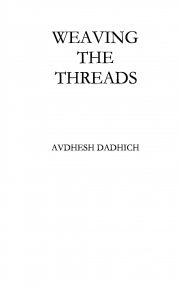 Description of "WEAVING THE THREADS (eBook)"
This book is collection of poems. The author has tried to give a touch to his words. He appeals from readers to turn the pages further reaching out to his gut. Reviews of "WEAVING THE THREADS (eBook)"